BOSTON, June 8, 2018 — As more families welcome pets into their lives, the demand for infrastructure and resources are on the rise. Cities across the U.S. are joining the movement to make life better for people and pets. Pets make people healthier and more connected, and they make economies stronger and communities feel safer. 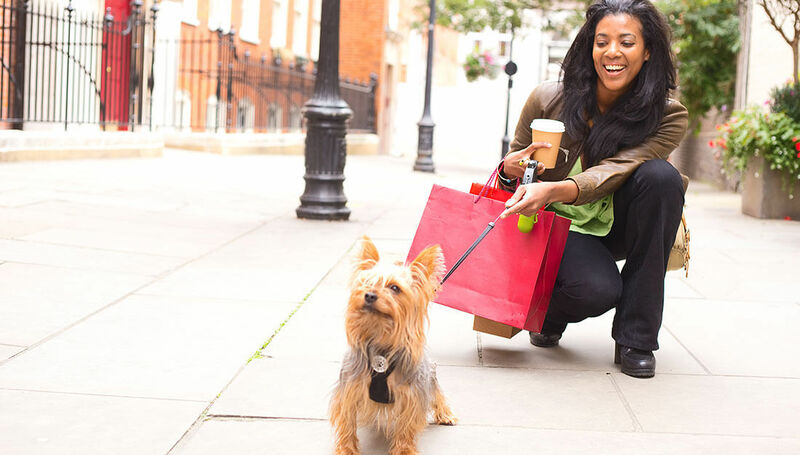 With 82 percent of U.S. mayors agreeing that pets positively impact their communities, cities are looking to implement pet-friendly policies and programs. 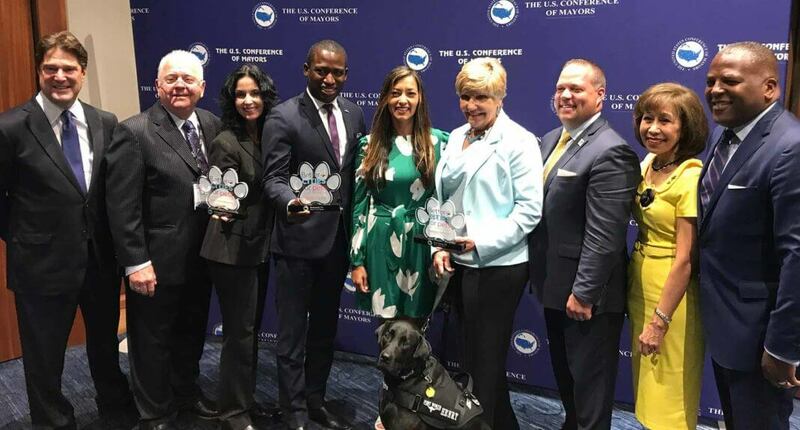 To support this effort, Mars Petcare and the U.S. Conference of Mayors (USCM) today announced the recipients of the first BETTER CITIES FOR PETS™ grants: Fort Worth, Texas, Richmond, Virginia, and Hallandale Beach, Florida. The winning cities and programs will not only benefit the pets in their communities, but the people as well, with the grants being used to provide resources for new therapy animal programs, pet wellness resources for residents in under-served communities, and other pet-friendly programming. These types of actions are needed to create a groundswell of pet-friendly programs and policies across the country. The grant program is a result of Mars Petcare and USCM’s ongoing partnership to raise awareness of the need for more pet-friendly policies. 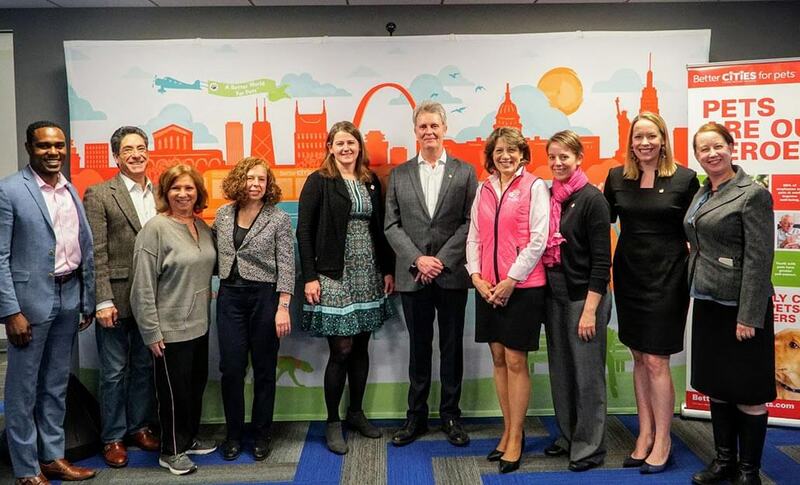 Mars Petcare surveyed USCM mayors from across the country to understand what their cities needed to become more pet-friendly. The results overwhelmingly showed that cities across the board need more resources than they can currently provide. The BETTER CITIES FOR PETS™ Grant Program is Mars Petcare and USCM’s tangible response to this feedback. The goal of the program is to encourage more cities to think about how they can make their community more welcoming to pets. The grant recipients – as well as all who applied – should be celebrated as they officially join the BETTER CITIES FOR PETS™ movement. Large City Winner: Ft. Worth, Texas/Pets for Life: With its $50,000 grant, the city of Fort Worth will locally implement “Pets for Life,” a national program that provides pet wellness resources to residents in under-served communities. The program will support those who live in areas that have gone without mainstream veterinary care. The city will use its grant money to provide free services such as vaccinations, spay/neuter, micro-chipping, responsible pet ownership education and other services, treating an estimated 700 pets in the first year alone. Medium City Winner: Richmond, Virginia/Pet Partners: With its $30,000 grant, the city is working with Pet Partners, a national non-profit organization that focuses on improving human health and wellness through the power of pet therapy. The grant will support an effort to increase much-needed therapy animal teams. These teams are critical for improving mental health and well-being through programs like hospital visits and support for children’s literacy. Small City Winner: Hallandale Beach, Florida/Happy/Healthy Pets: With its $20,000 grant, the city of Hallandale Beachwill establish a Responsible Pet Ownership campaign. Studies show that education drives positive outcomes for health and safety of the pet, pet owners and the community. When people are prepared for pet ownership and understand how to integrate them into their homes – less pets are lost or surrendered which alleviates stress on animal welfare organizations. To join the movement, get the “Playbook For Pet-Friendly Cities” and learn how to implement the BETTER CITIES FOR PETS™ program in your city, please visit BetterCitiesForPets.com.